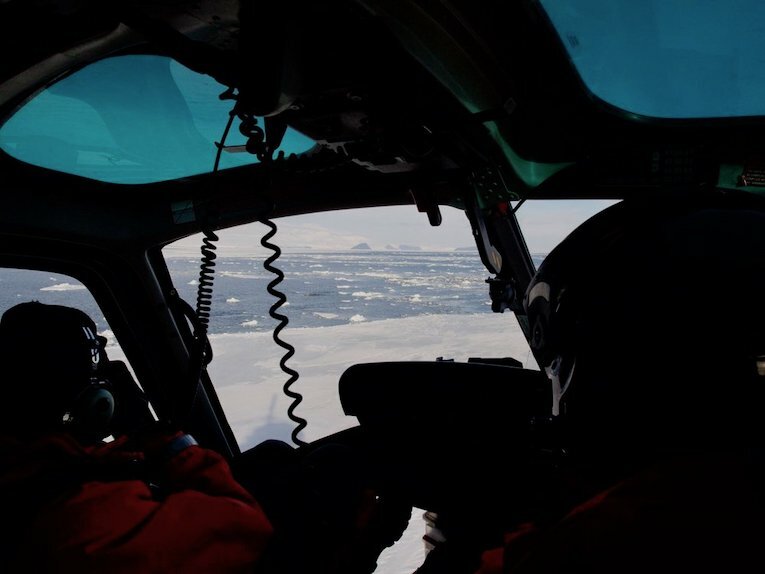 We identified that optimal landing site during our 45 minute flight along the ice channel that is being cut from the Ross Sea to McMurdo Station where resupply ships will unload everything needed to support the New Zealand and Amercican scientific operations in Antarctica for another year. The cargo ship will unload onto an ice pier that has been built from reinforced ice in front of McMurdo Station. New Zealand defence force personnel are already here in preparation for the offload as part of the New Zealand/American cooperation. For photo identification of individual animals, we’ve tracked and photographed a number of pods of killer whales and the odd minke whale travelling down the ice edge from the air so we’ve chosen a spot where we hope they will come to rest, play and fish under the ice. Years of experience from Regina, the expedition leader, has given her a second nature for these whales behaviour. 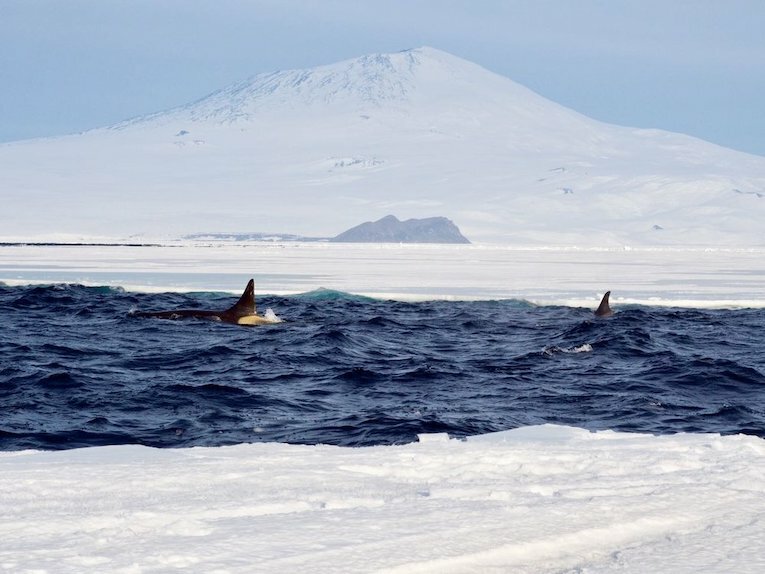 They congregate here every year to utilise the ice channel as a kind of whale highway that gives them access far further into MrMurdo Sound than they would normally be able to reach because they have to surface to breathe regularly. This narrow slit in the ice creates a very unique opportunity to get up close to this incredible animals. 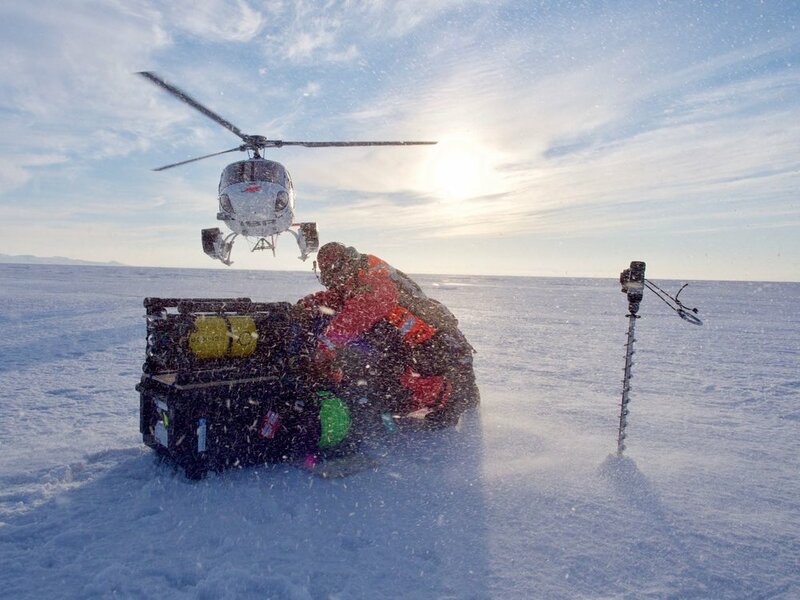 After Tom has given use the all clear, we carry our gear close to the ice edge. Tom sets up anchors and ropes so we can safely move right to the edge of the water and prepare the ROV for launch. Someone always remains on lookout for the whales with a large zoom lens camera to capture the unique features of their backs and dorsal fins so that individual animals can be tracked year after year to establish their habits, feeding behaviour and movements. Combined with the hydrophone recordings, it is hoped that with their calls alone, one day, individual animals will be able to be identified by vocalisation alone, as is possible with other, closely studied killer whale populations around the world. 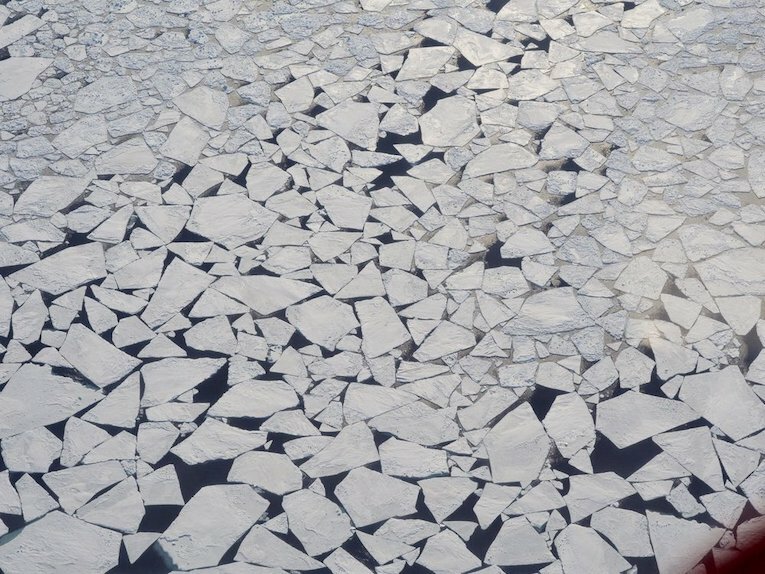 As the ice channel is not yet fully opened, we are in a much larger opening in the ice than is ideal, but we make do and sit and wait for the whales to come. 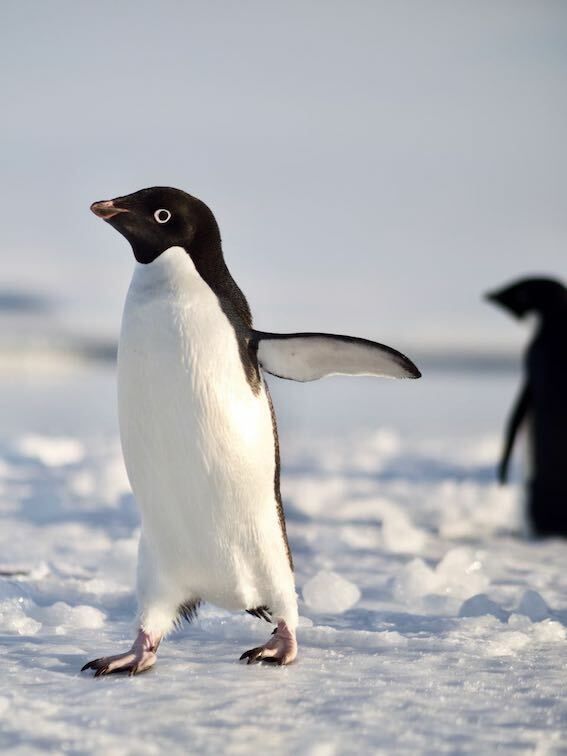 In the meantime, we are entertained by rafts of Adélie penguins that forage along the ice edge, popping up onto the ice around us to say hello. Since the ice is constantly moving, it can be tricky to navigate underwater, to know what is what and where the whales may come from next, I usually begin by heading up and down the fixed edge that we are working from, looking for ice features I can use for reference. Someone cries “whale, coming from Erebus”, we’re on. I turn the ROV towards Erebus and look deep into the blue. Slowly, a dark blob appears and gets bigger and bigger as the whale moves towards me. I try to hold position, then she turns, I turn the dial to full power and start the chase, she take a graceful breath at the surface and dives deep under the ice, dropping out of sight into the inky blackness. Spot the whales! How many can you see in this photo?